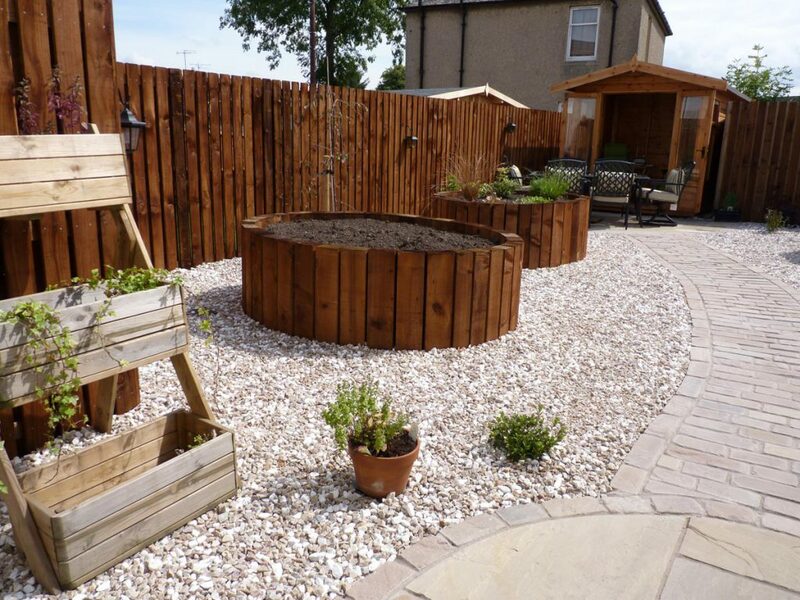 This garden was the epitomy of a blank canvas. 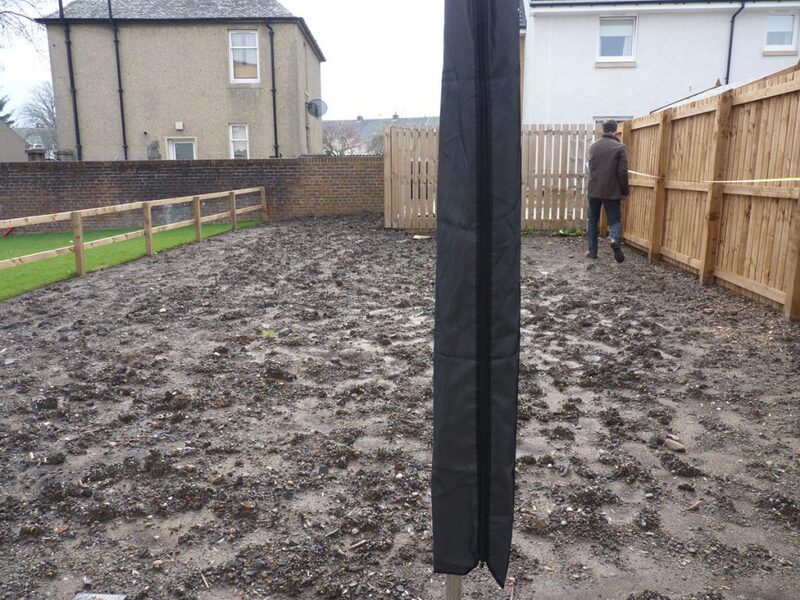 A new build property, there was nothing but some poor quality soil when we first visited and the garden was very overlooked. 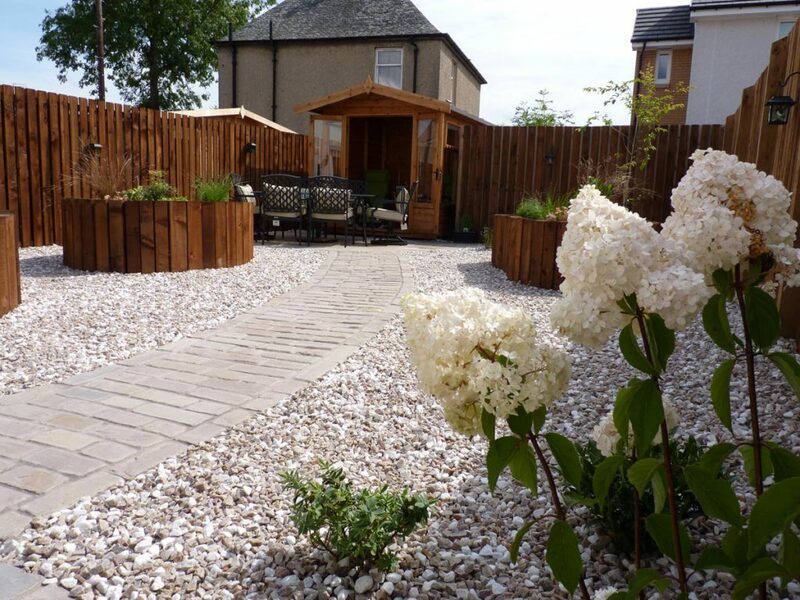 Our brief was to create a low maintenance garden with a summerhouse and more privacy. 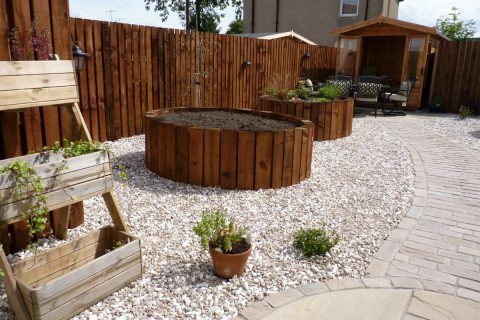 "All our friends who have seen the garden - in person or on the website/Facebook think it's wonderful"
The first area we tackled was the lack of privacy. The existing high fence was double slatted and a new complementary fence was created on the other side. 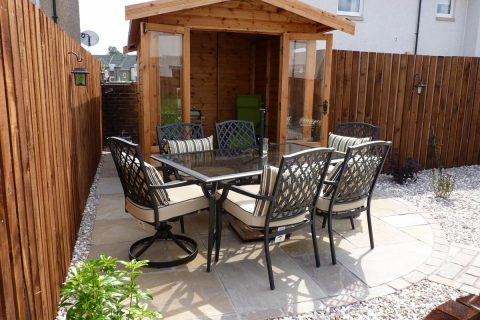 We sourced a garden room to fit the top corner of the garden perfectly. 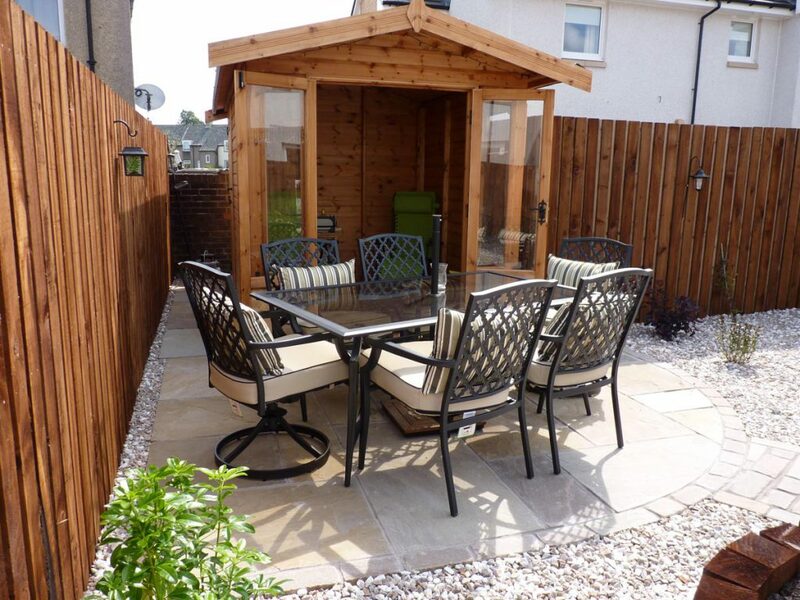 It also cleverly has a storage area at the back negating the need for a shed in the modestly sized garden. 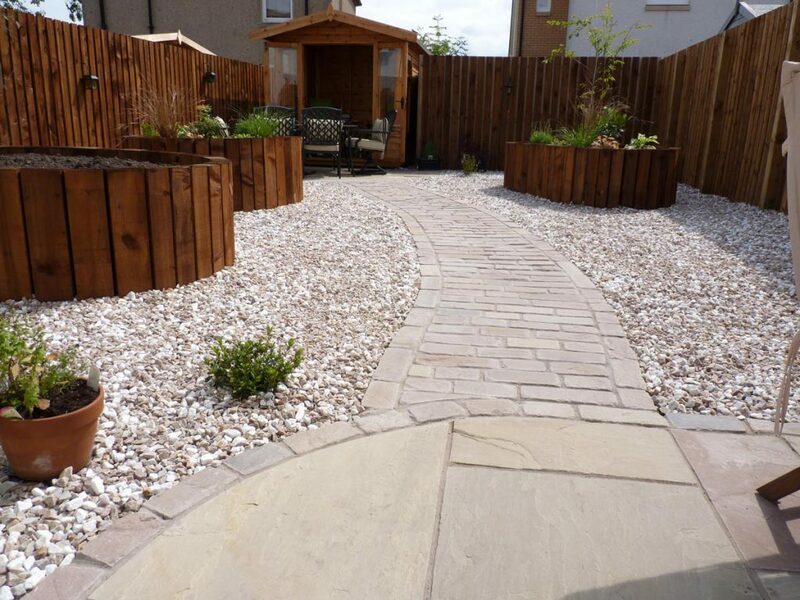 The area outside the garden room was paved in a warm natural sandstone and edged in sandstone setts. 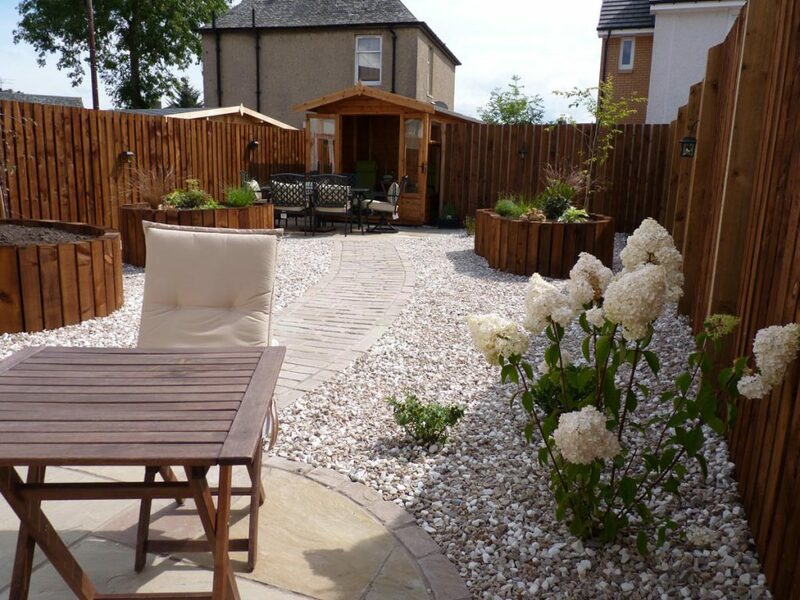 The same paving was used to create a morning patio outside the patio doors of the house. 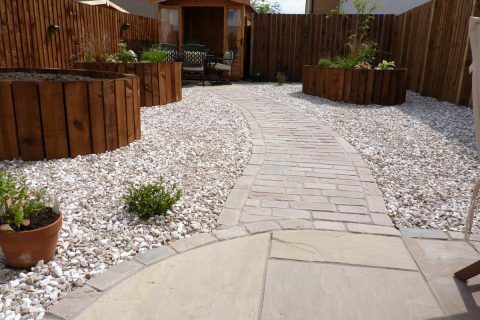 A pretty, meandering path made of sandstone setts links the two patios together. 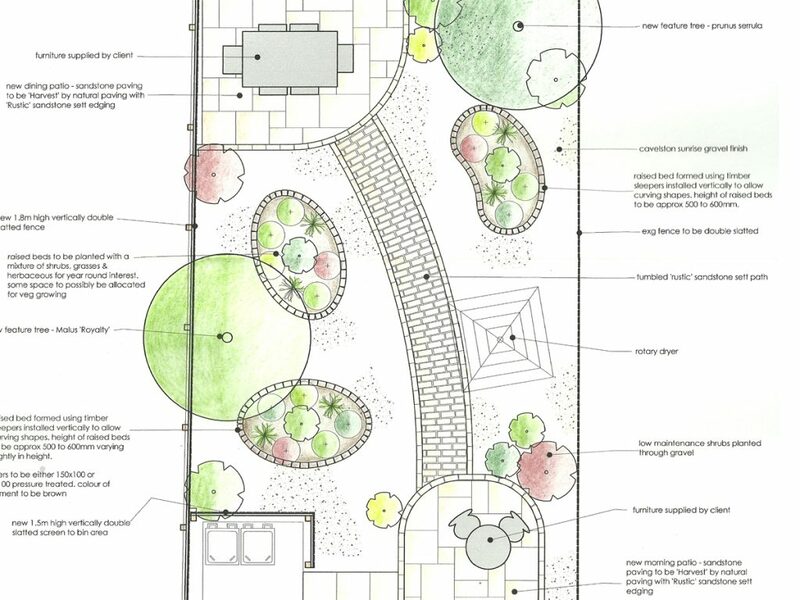 Raised beds were included in the design to allow the clients areas that are easy to potter in. 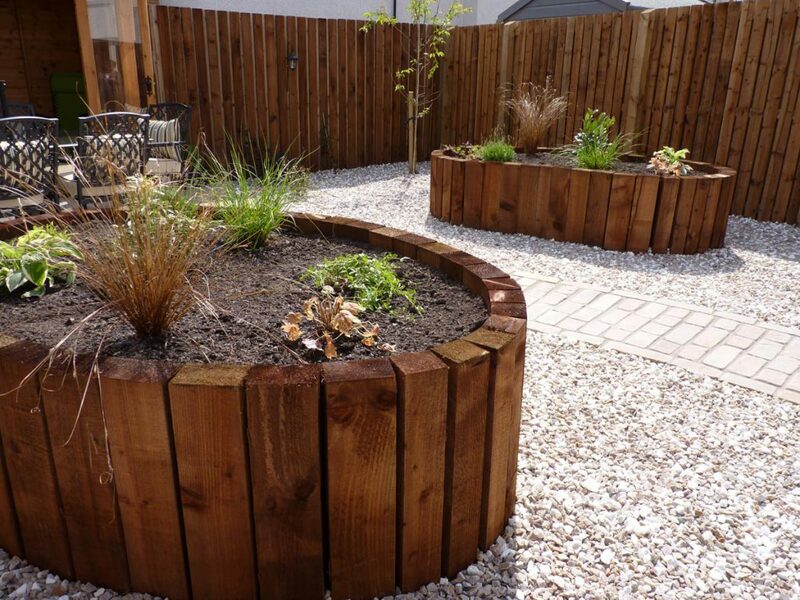 By constructing them using chunky vertical timbers it was possible to create lovely curving shapes. 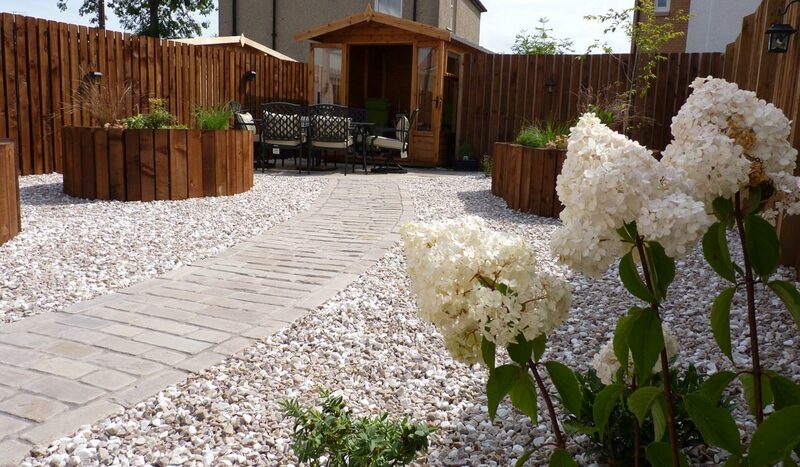 Decorative gravel finished off the garden and keeps it very low maintenance. Two feature trees, Prunus ‘Autumnalis Rosea’and Malus ‘Royal Beauty’, add height and interest to the garden. 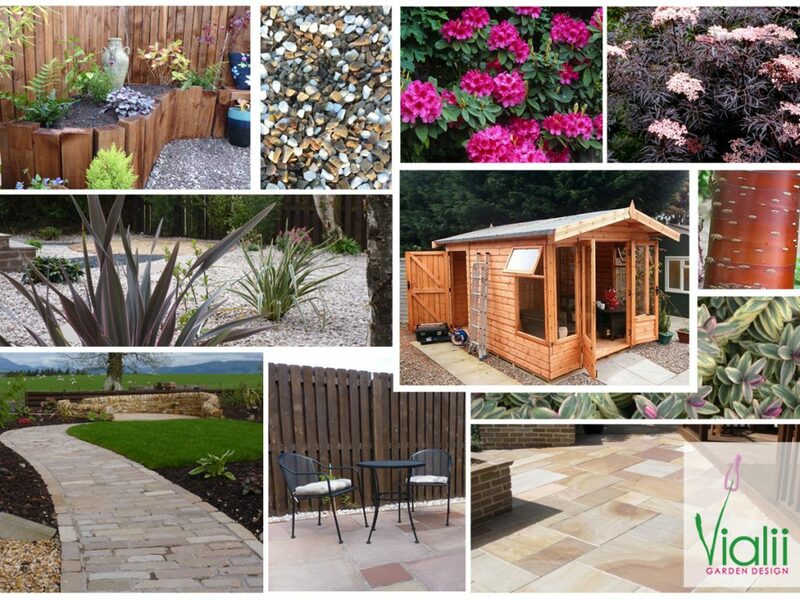 Shrubs including choisya ternata, hydrangea paniculata and a range of hebes add interest to the gravelled areas. 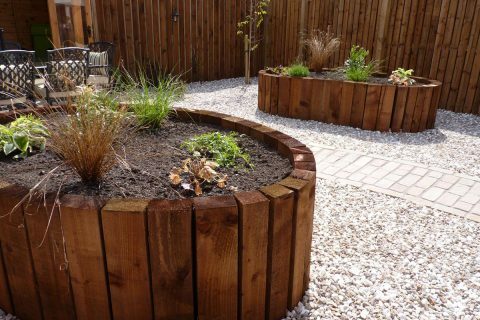 The raised beds are a mix of grasses such as Pennisetum ‘Hameln’, shrubs such as Skimmia ‘Little Red Riding Hood’ and pretty herbaceous such as Geranium ‘Rozanne’ and Heucherella ‘Sweet Tea’.